It was a beautiful afternoon. The Sun was shining, the Tetons were in the background and you really couldn’t ask for a better day. As I was driving by I was gazing upon the massive bulls playing in the sagebrush while looking for something to eat. Today was not like any other day, as they had visitors. 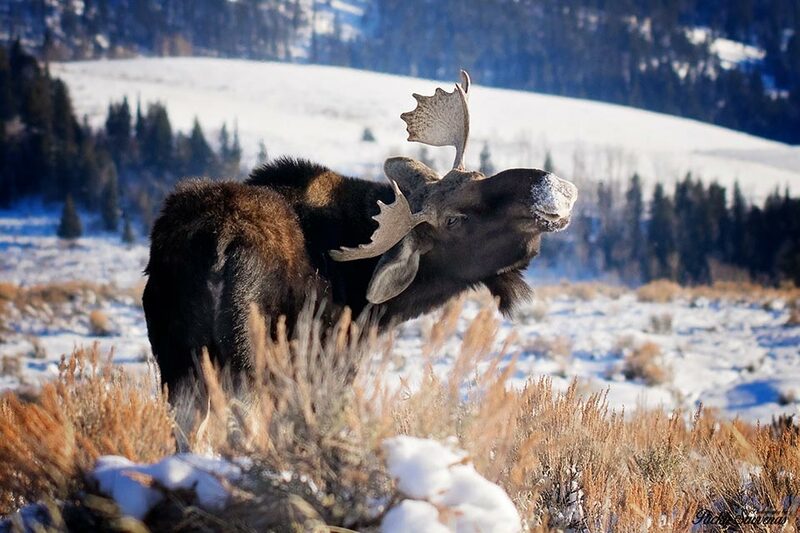 It was crazy how much the birds were taunting these moose, but the moose did not want anything to do with these crazy birds! I had to pull over to capture the moment. They were about two miles off so I did the best I could to get the sharpest shot in. I literally only had about 3 to 5 seconds to get this remarkable photograph of a magpie actually sitting on a moose’s back. 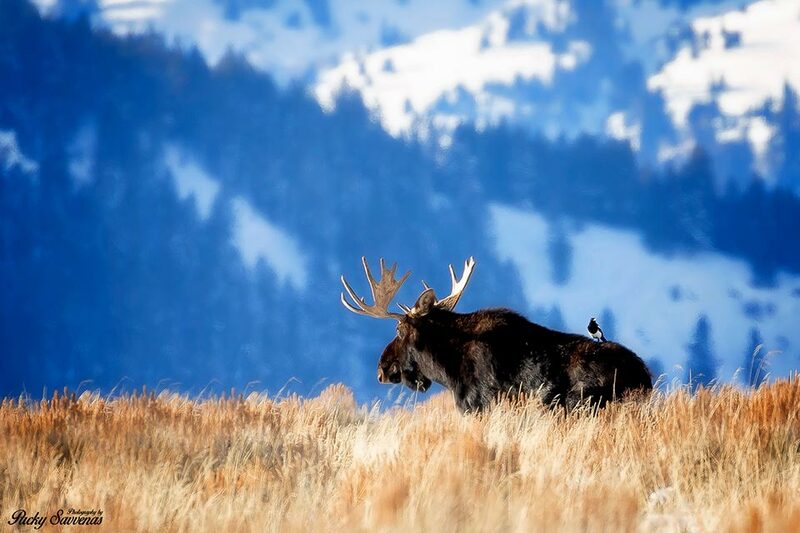 It was like seeing a rhino with a bird on his back… only it was a moose!